State Department spokeswoman Jen Psaki denies Washington is considering sanctions against Israel over its construction plans. The United States is not considering sanctions against Israel in response to its construction in Jerusalem, Judea and Samaria, State Department spokeswoman Jen Psaki clarified on Monday. “I can set the record straight and be clear that reports that we might be contemplating sanctions against Israel are completely unfounded and without merit,” She told reporters, according to The Blaze. 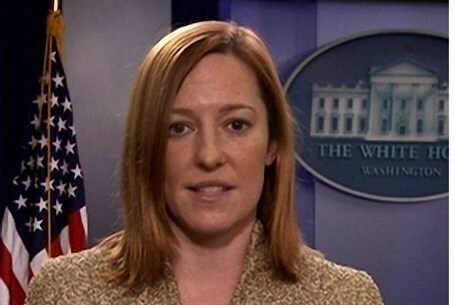 Psaki was asked if perhaps the Obama administration had been considering sanctions against Israel and now is not, adding she thinks her statement “has been consistently true” over time. Moments later, she said sanctions against Israel are nothing something that will be “moving forward,” a possible indication that the option did exist. She then quickly corrected herself to say they were never being contemplated. Haaretz reported last week that Washington is considering taking “harsher action” against Israeli construction efforts. According to the report, the White House has been discussing taking “active measures” to discourage Israeli construction, instead of just issuing condemnations, as it has done until now. Late last week, dozens of Republicans demanded that President Barack Obama answer clearly whether he is considering sanctions against Israel, a move that the GOP would have hotly opposed.